There is no time left for the market to recover after the announcement of the world’s leading cryptocurrency exchange Coinbase is adding new listings, as the platform once again pushed off the ground of the crypto-community. 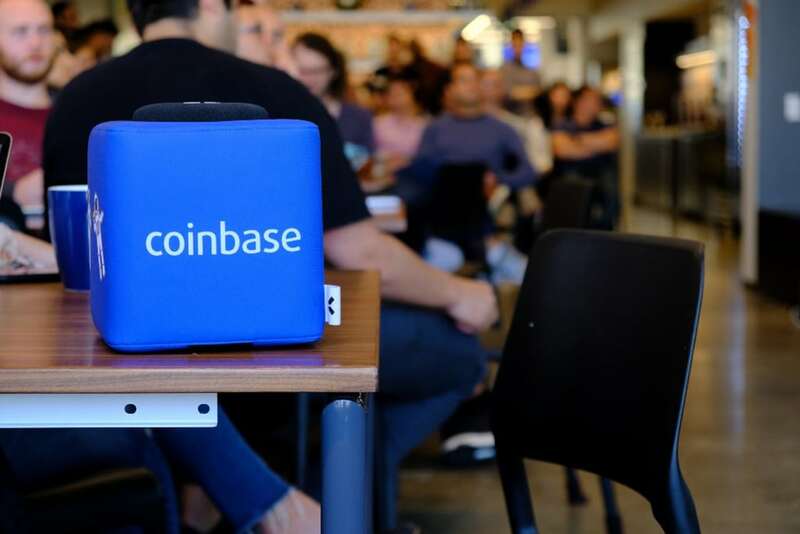 This time Coinbase has an eye for few more digital coins that some say are soon to become a part of the platform’s wide offering. The other day Coinspeaker stressed a bullish market trend rolling out towards Cardano, Zcash, and Stellar, which reportedly are going to join the list of Coinbase trading coins. The upward tendency dubbed as “Coinbase effect” explains a short-term surge of the coins’ price that for a moment made investors recall once flourishing cryptocurrency market. In the wake of Coinbase listings, both Cardano, Zcash and Stellar were traded on positive momentum with slight but evident increase in their value. Today almost everyone of them have returned to their starting point whereas the enthusiasm of investors is gradually fading. Nonetheless, Coinbase has the foresight to reserve some surprises to maintain their interest. Coinspeaker devised the list of potential Coinbase addings that have all the chances to enhance the exchange soon. The first in a row to the Coinbase offering stands Stellar (XLM). Being developed by Ripple creator Jed McCaleb, the Stellar ecosystem underpins an alternative payment network that connects individuals with various financial institutions. Stellar native token, in turn, contributes to the ability to move money around the world and to conduct transactions between different currencies quickly and securely. Currently Stellar (XLM) is trading for as much as $0,26 per unite replacing EOS among top-5 cryptocurrencies in terms of market capitalization. Notably that the news of Coinbase listing was determined as a key factor for such stunning success. The second to go for Coinbase is Carnado (ADA). The decentralised cryptocurrency project empowered by Carnado (ADA) is developing a smart contract platform, which seeks to deliver more advanced features than any protocol previously developed. The bearish trend for Carnado (ADA) seems to be halted as Coinbase announced it amidst their expectants to join the platform. Today the price of digital coin remains close to $0,75 benchmark while the amount of trading volume saves Carnado (ADA) the 8th position in the list of available cryptocurrencies. The digital coin named after popular crypto-exchange also has good chances to be listed at Coinbase in the near future. As it comes from the name, established supply of 200 million Binance Coin (BNB) is mainly used to underlie transactions made by the exchange users. At the moment, Binance Coin (BNB) is traded for $9.28 with about 130 million of BNB in circulation. Relatively stable price level together with Binance support makes Binance Coin (BNB) the 14th cryptocurrency asset available for investment. Notorious EOS (EOS) is the next possible listing for Coinbase, though the suspicion of false decentralization has weakened public support for this promising coin. Being called as the Ethereum strongest adversary, EOS (EOS) lost its shine following the report made by independent testing agency. As the result, the claimed tremendous capacity of newly launched EOS network was questioned, while the network itself allegedly lacks decentralization. Obviously, such fuss negatively affected the price of EOS (EOS) that ultimately gave up the positions to Stellar (XLM). Today the coin’s price established at the level of $5.17 serving it the 6th place in the crypto-rank. The last but not the least coin waiting to be added to the Coinbase offering is Ripple (XPR). It might seem strange why so prominent digital coin has so far failed to be listed at Coinbase. Conceived as a blockchain-based alternative for SWIFT, Ripple is known for a broad-scope incorporation into the interbanking settlement systems and remittance corridors. Yet the company behind the robust technology has numerously stated the dual nature of the Ripple enterprise and the altcoin itself. This statement now is to be carefully examine as the company are facing a legal trial regarding the regulatory nature of the cryptocurrency. Once Ripple (XPR) fully clears its reputation out of a security stain, the coin is likely to join a bandwagon of Coinbase-trading cryptocurrencies. Now Ripple (XPR) is trading to $0.5056 rigidly remaining the third largest cryptocurrency in terms of market capitalization.